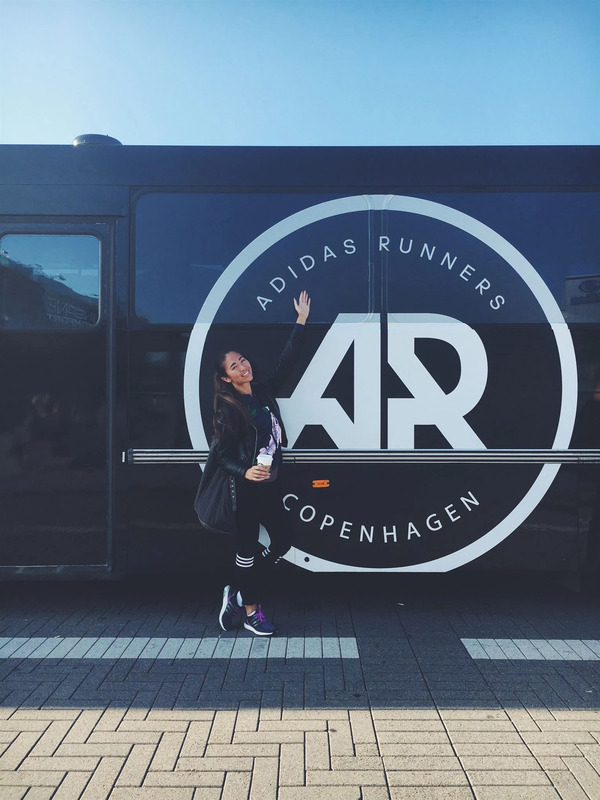 A happy but tired me arriving in Copenhagen on Saturday morning, ready to hit the race! My own poster with my own caption at the race start area. 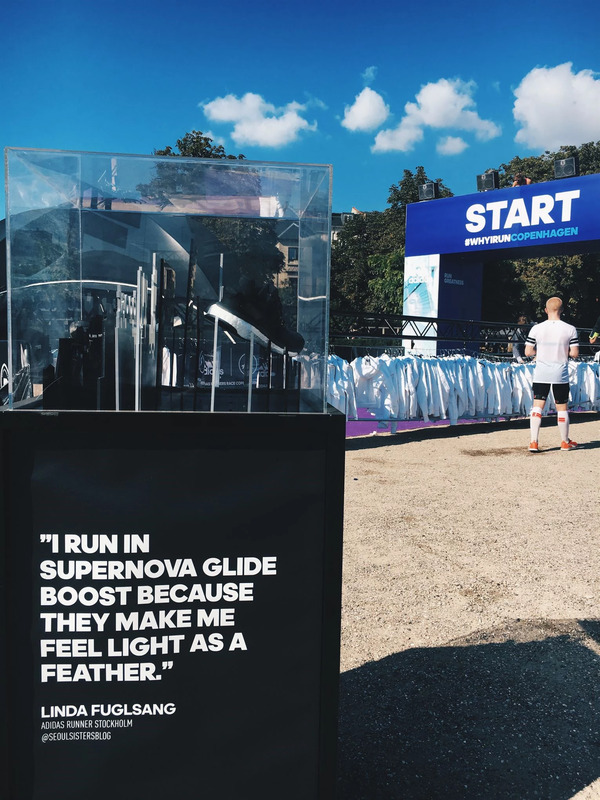 "I run in Supernova Glide Boost because they make me feel light as a feather". The best running shoes - word! 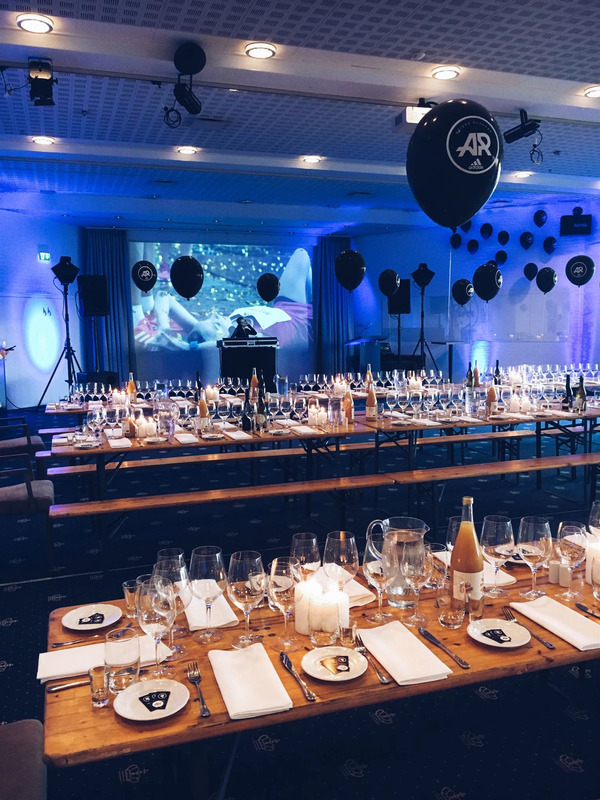 The amaze dinner for all of the Adidas Runners (almost 300 people! ), ready for buffet, DJ sessions, dance and beach hang. 17 cities united in Copenhagen for a super boost weekend!